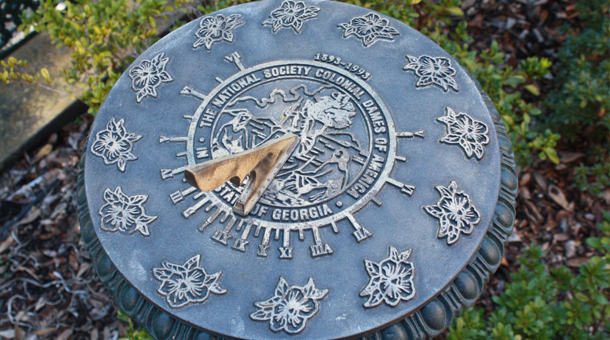 A sundial bearing the state seal was commissioned and copies were given to each of the 17 Town Committees to place in their home cities to commemorate our 100th anniversary. 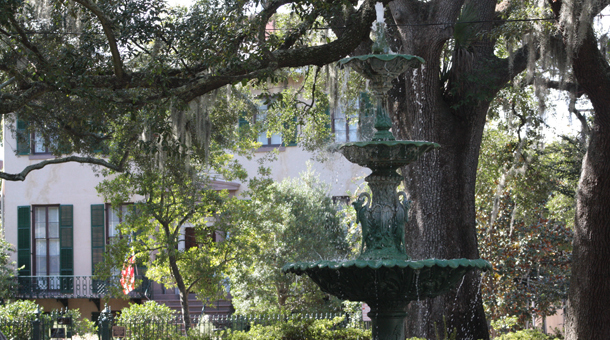 The Dames donated this fountain to commemorate the 250th anniversary of the founding of the colony of Georgia. 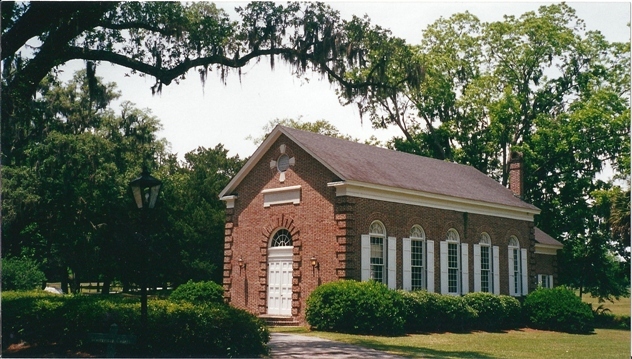 A non-sectarian chapel was built by Georgia Dames at Bethesda, near Savannah, and dedicated to the Rev. George Whitefield. 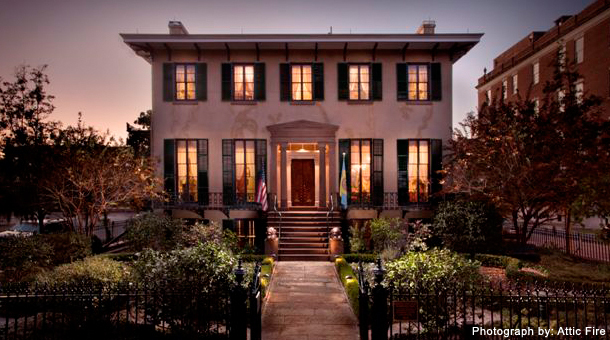 This historic museum house serves as the Georgia headquarters for NSCDA-GA. The Colonial Dames stuff care packages for our veterans and troops overseas and sponsor essay contests to promote patriotism. 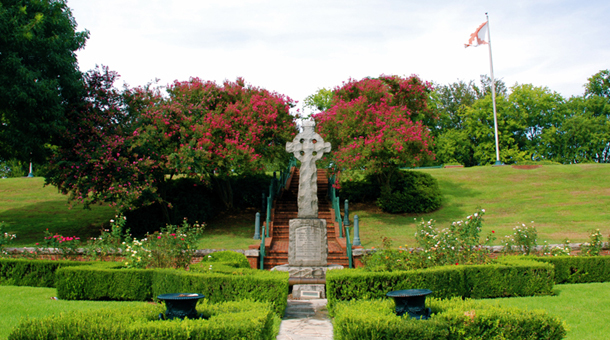 The headquarters for the NSCDA-GA is located on the ground floor of the Andrew Low House which is on the National Register of Historic Places.